What if you want to hide your work? 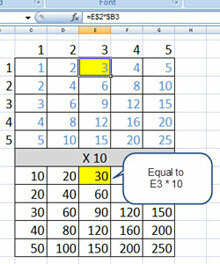 I’ve been asked by many of you to put together something on Pivot Tables. In doing so, I found the hardest part was compiling sample data that allowed me to highlight some of the cool features that Pivot Tables have to offer. After searching the web for sample data to use and coming up empty, I decided to go the long route and just start typing. But as luck would have it, I stumbled upon a slick way or two to generate some useful data. Attached is that discovery in two parts. This is my first attempt at a video blog, so please provide any feedback, good or bad.